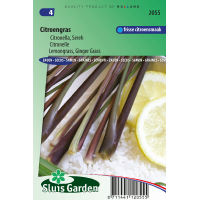 A tropical variety of grass with a superb lemon fragrance and flavour. Cultivate in a heated greenhouse or a pot culture indoors (high germination temperature). Stays smaller in a pot. 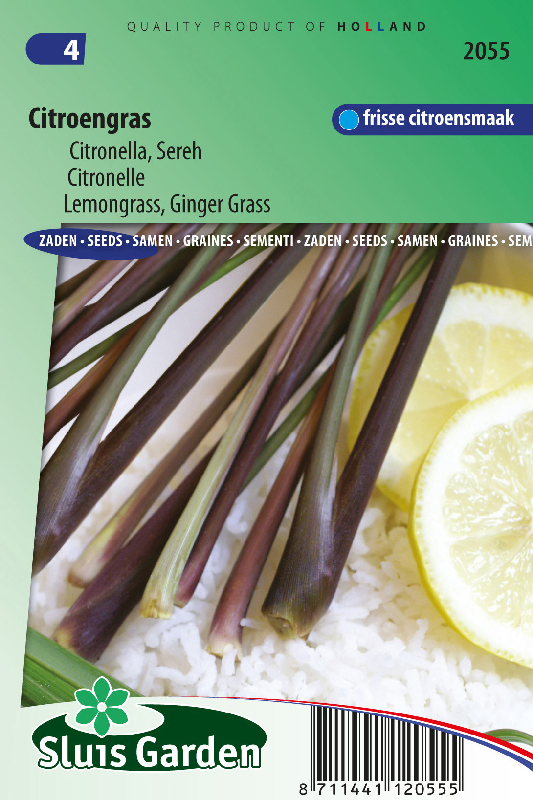 The leaves, both fresh and dried, are used as kitchen herbs in all sorts of dishes. Plays an important role in Indonesian cooking. Tea made from the (dried) leaves is considered healthy and refreshing.